Make sure you maintain continuous inspection of pumped products with the Pipeline x-ray system by Anritsu. The KD7483AFWH can inspect products 12 mm or smaller. 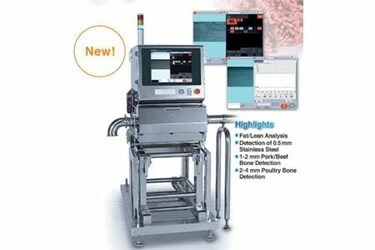 This detection technology is suitable for the inspection of fluids and semi-solid products flowing in a pipe, such as sauces and fruit preparations. An air conditioner is equipped as standard.